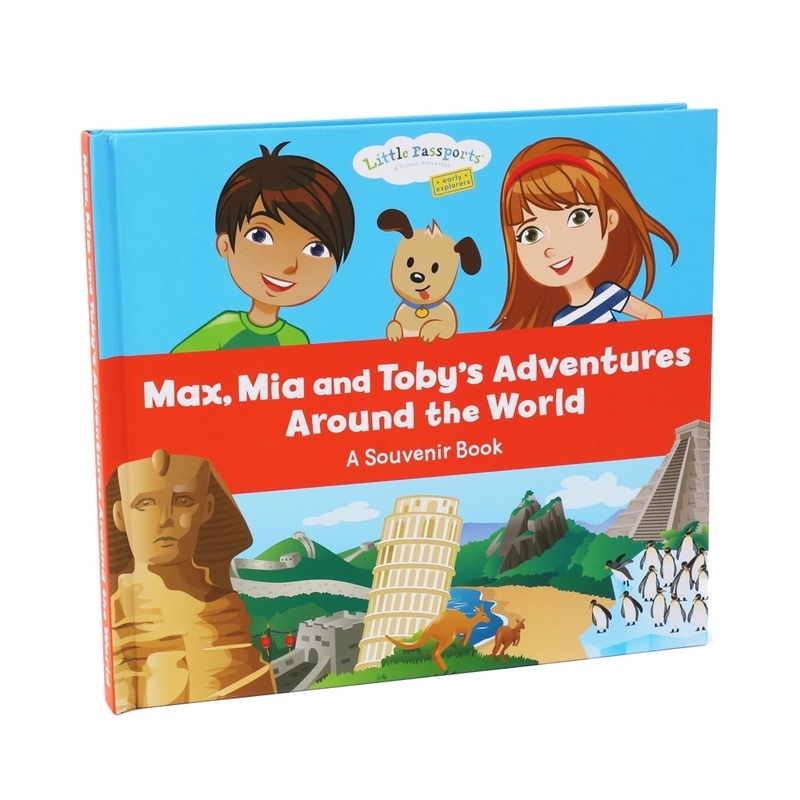 Follow Early Explorers characters Max, Mia and Toby on a worldwide adventure! 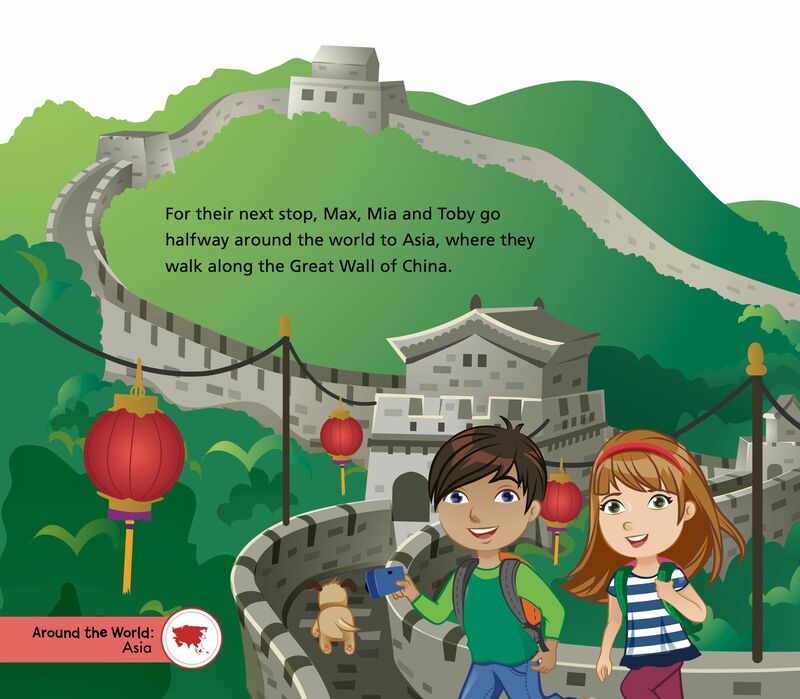 Kayak in the waters of Antarctica, discover animals in the Amazon, ride camels at the Great Sphinx in Egypt, walk along the Great Wall of China and more! 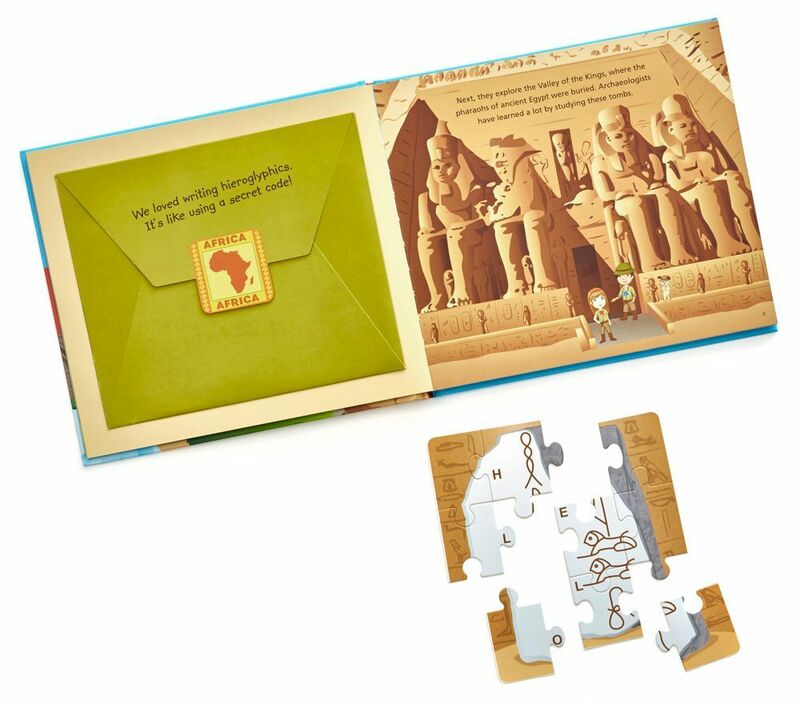 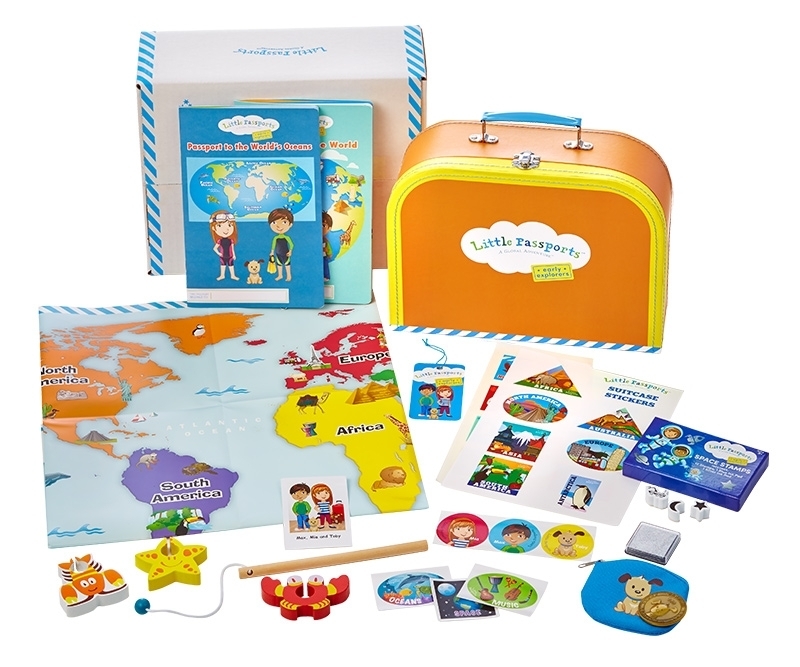 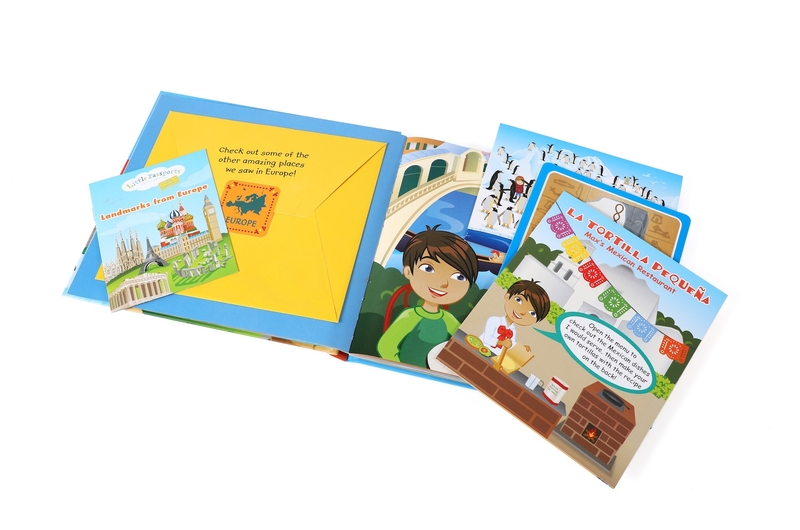 This interactive book includes 7 souvenirs from Max, Mia and Toby's travels, including a hieroglyph puzzle, travel snapshots from Australia, and a train ticket from Japan. 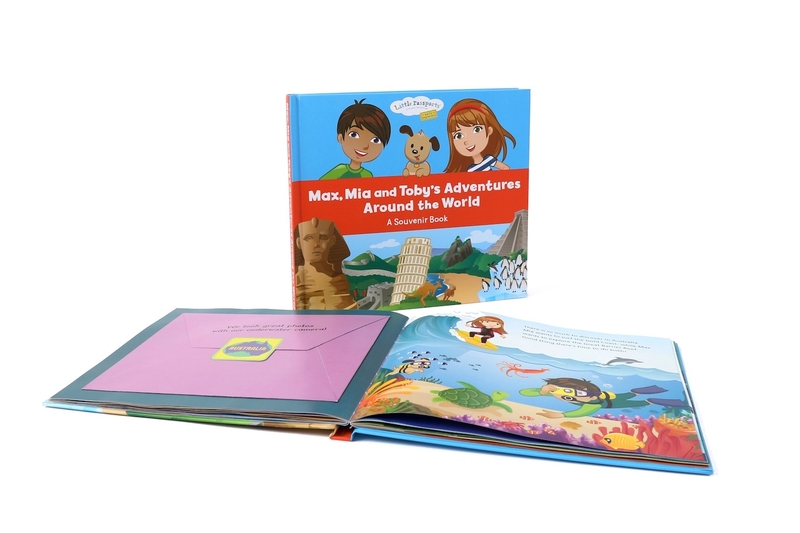 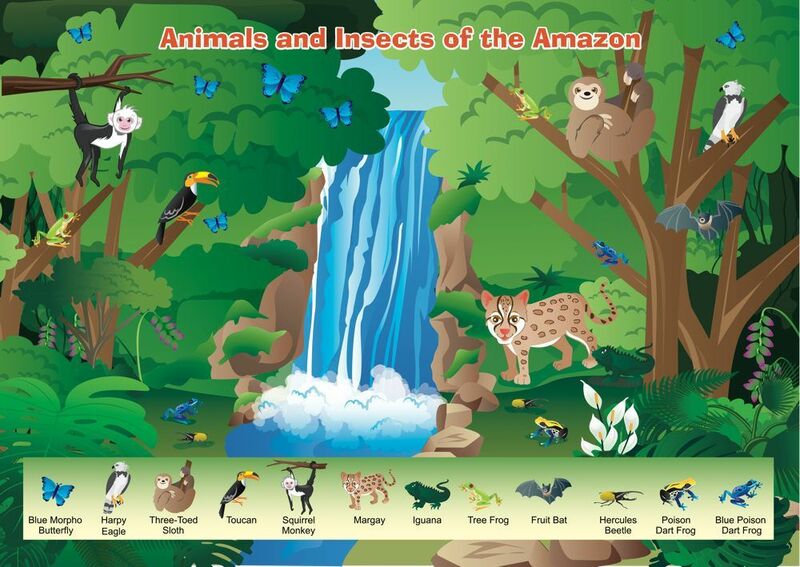 Children will love learning about different countries and cultures around the world with this colorful book. 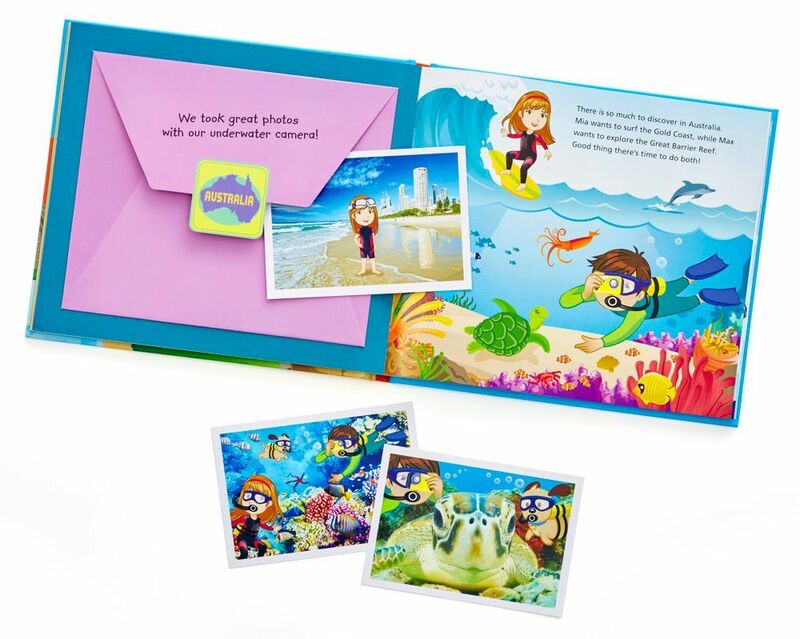 Click the thumbnails to get a peek inside the book, including the fun souvenirs hidden in interior pockets.